My first wall after a loooong hiaitus. I wanted to keep a clean look for desktops, it looks more computery to me. The canvas texture makes it look a little dirty haha, but it suits that secret personality of Nui Harime. 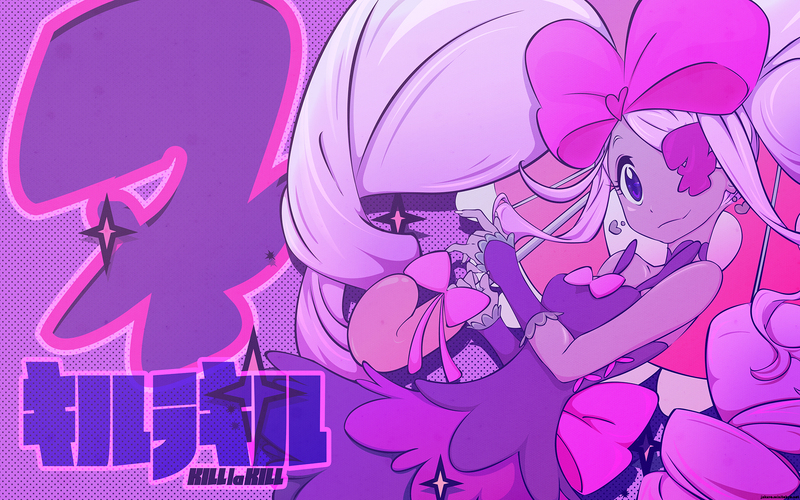 Kill la Kill is in my top 10 favorite animes and Nui is one of the best villian personalities ever. This is just a minimal-layer vector so I went with a minimal background. I think. Browse Kill la Kill Gallery: Recent | Popular. Woah, reminds me of the powerpuff girls. The vector is clean and neat and I like those patterns. I kinda prefer the 3rd to the last pic in your progress picture since the colors are more vibrant. Well that's just my preference. good job , nice colour . Only 19 hours , you are fast xD . Good idea for the versions . Quote by damsdu597good job , nice colour . Only 19 hours , you are fast xD . Good idea for the versions . Weeee! Finally got to see it! I'm digging the crispness of vector, dynamics of lineart thickness and pink-purple tones! Textures are subtle and nice, so as gradients plus grill is pwetty too!